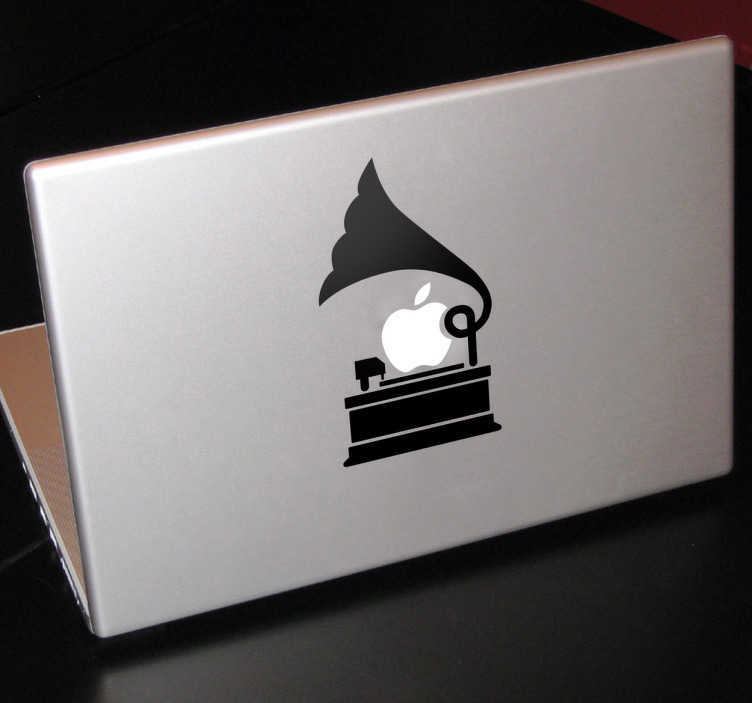 A very classic gramophone design to personalise your Mac and give your device a touch of originality. A brilliant design from our MacBook stickers collection. If you love vintage designs then you have found the perfect one to place on a modern device such as your Mac! Make use of the Apple logo on your device with this design. You can personalise this gramophone design by choosing your favourite colour. Easy to apply and remove.